Breeding Notes: Arty's sire, "Artistic Imprint", sire of multiple World and Res. World Champions, by "RH MR. Imprint", who is consistently on the leading Sires list, siring 149 foals with over 8,643 Halter points, 3703 Perf. 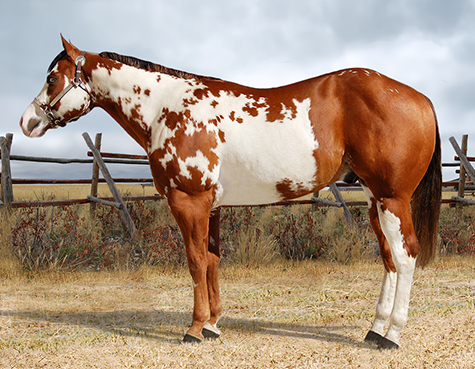 points, with 4 APHA Champions, 157 ROM's, 52 Superiors, 11 World Champions, and 8 Res. World Champions. The rest of his predigree is just as Impressive, including "Justa Pleasure, Coosa, Barlink Macho Man, Sonny Dee Bar, and Impressive ---etc". 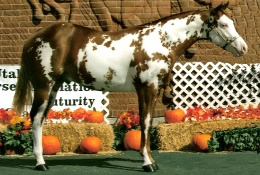 As a yearling, "Arty" was shown in Halter Stallions, placing High Point Yearling Halter Stallion in the EIPHC and the MPHC, and was Res. Yearling Halter Stallion, UPHC. 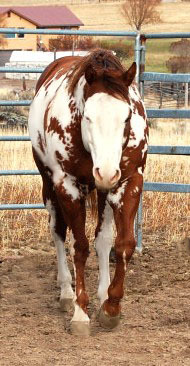 He has recieved 26 APHA national halter points with 6 Grands and 13 Res. Grands and 7 PAC. credits and AMA. points. 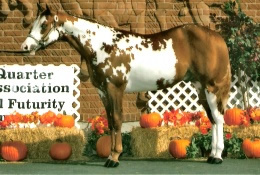 Arty's 2009 get will be eligible in the Utah PHC Select Futurities along with the MVSIA Futurities.